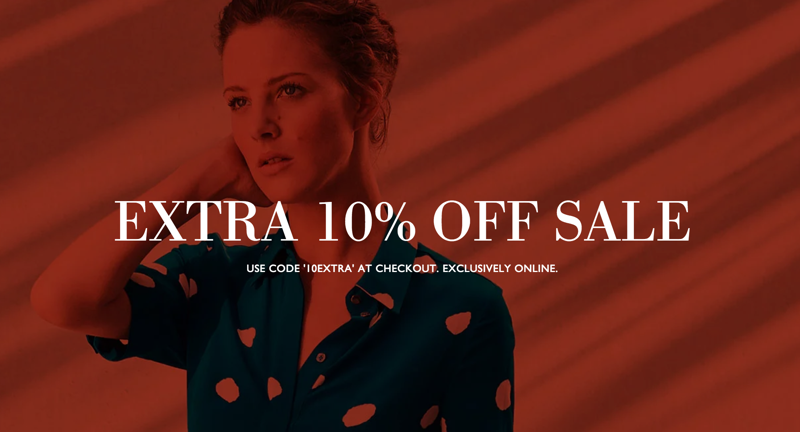 The L.K.Bennett Promotion is on with extra 10% off designer clothing, footwear, bags & accessories. Shop online with promo code: "10EXTRA". Free UK Delivery on orders over £250.